Amerex offers two systems to meet the industry’s varying needs. With the Amerex KP Restaurant Fire Suppression System you get appliance-specific coverage that typically offers lower initial cost. The KP system is ideal for uses where appliance location is fixed such as in fast food chains, casual dining, cruise ships and school cafeterias. 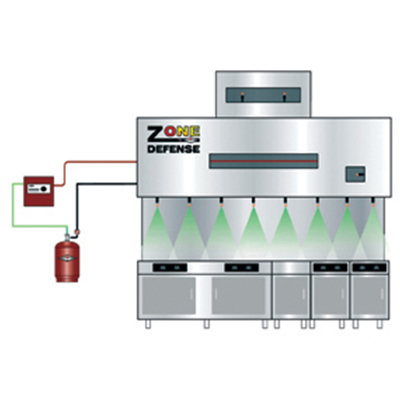 The Amerex ZD Restaurant Fire Suppression System adds greater flexibility by letting you reconfigure a kitchen or move appliances without moving nozzles. Because of its adaptability, this system is the most cost effective choice over the life of the system. The ZD system was designed with fine dining, culinary schools, military facilities, hotels and hospitals in mind.